Pinterest is one of the latest tools that let you construct and share interesting and beautiful things you may available on the internet. We can use pinboards to organise their various events, organize their favorite recipes and decorate their homes. Here are some of the basic tips that might let you to gratify your marketing strategy over Pinterest! The most amazing part is that one can easily browse pinboards which are created by other people. Pinboards browsing is a great way to conceive new things and generate inspiration to develop ideas and knowledge globally! As by now we all know that a visual social network like Pinterest is the forum wherein people who browse net regularly get to see the visuals of your business like infographics or data visualizations highlighting your business sphere to the probable customers. As you find that users share their pins to the pinboards hosted by you, this leads to a huge opportunity to attract fans and customers into your add campaign and marketing. Select few of your fans or probable customers, and develop a board which will solely cater to their pins. You may ask the customer to peg images which showcase the comfort they enjoy due to your brand. This indeed is a fabulous way to leverage client feedback in a very unique and graphical way. Organize a contest which asks users to compose a pinboard on their individual account to showcase what is their liking about your brand, services, or products. Ask them to give you a link to their pinboard through which you can evaluate participants, and the best board wins a prize! You can make it super easy for the website visitors to share the images or visual content over Pinterest by just adding a Pin-It button on your site. Very similar to other social media sharing tabs, this will give you exposure to your brand and develop new audience. You may use Pinterest as a reliable tool for accessing the interests and requirements of your customers. See the pinboards of your clients or customers to develop your understanding about them and their interests. As Pinners are not only orbited to pinning images; they are free to pin videos also. You create a pinboard of the interesting videos your business with relevant images. Compose a pinboard that shows the best photos and video footage any event of your company or product you host. This will help you to generate publicity and branding about your organisation thus leading to announce the next one. Very similar to other social networks like Google+ and Twitter, Pinterest users can use hashtags to tag their individual pins and create their content more search-friendly. Want to promote something new? Develop a pinboard around it, and just tag it with a hashtag which you’re also using on Google+ and Twitter. This will help you to utilise an integrated, cross-channel network. As by now we know that Pinterest has a deep lifestyle focus, so what could be a better opportunity to give people a peep into the nature of your brand? Develop a pinboard which shows the employees and life around your office – display the work culture, show how they make your products/services. Add photos to showcase as to how they have fun activities. Bringing people in front who are always behind-the-scenes will create your brand relatable, interesting and add a human touch to it. Incorporating Pinterest into social media marketing might feel like a great opportunity for the business, but you have to make sure it’s pulling results. Whatever be the case you need to make it worth your time, energy and effort. Whenever there is a possibility, put links back to your website and landing pages to drive traffic back to your home website. You need to keep a track of referral traffic and the leads which are generated from Pinterest. Last but not the least MDGadvertising has created this awesome infographic to explain the nooks and crannies of the social network. 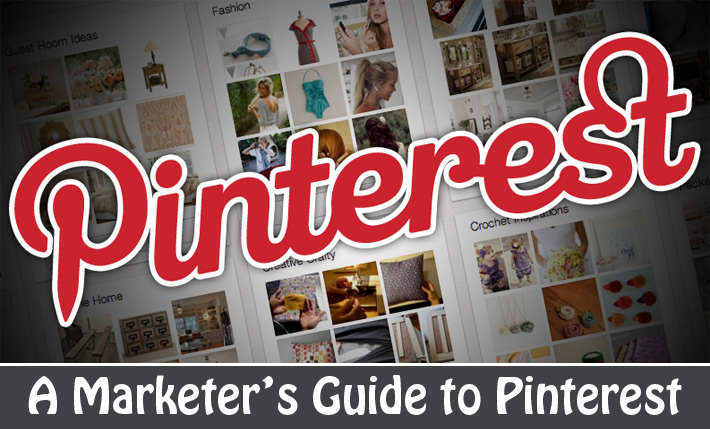 Are you using Pinterest for you social media marketing? How have you jumped on board the Pinterest train? Share you best practices in the comments. S. Saha is the Web Consultant at Webaholic. He blogs about latest SEO trends, Social Media Tips and Updates. Copyright © 2019 Webaholic. All Rights Reserved.